Between 1919 and 1933 the Bauhaus movement revolutionized architectural and aesthetic thinking and practice in the 20th century. 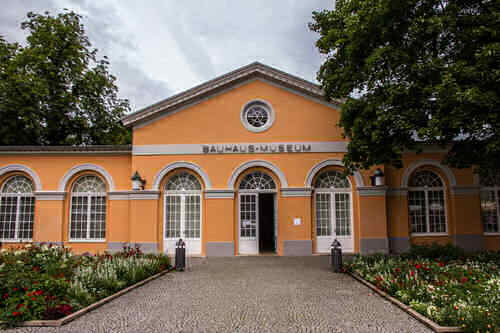 The Bauhaus buildings in Weimar, Dessau and Bernau are fundamental representatives of Classical Modernism, directed towards a radical renewal of architecture and design. 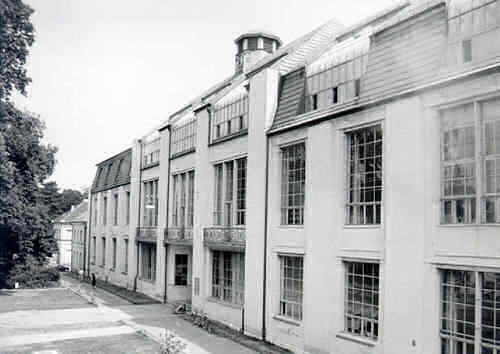 This property, which was inscribed on the World Heritage List in 1996, originally comprised buildings located in Weimar (Former Art School, the Applied Art School and the Haus Am Horn) and Dessau (Bauhaus Building, the group of seven Masters' Houses). The 2017 extension includes the Houses with Balcony Access in Dessau and the ADGB Trade Union School in Bernau as important contributions to the Bauhaus ideas of austere design, functionalism and social reform. 1996년 세계유산에 등재된 이 유산은 본래 바우하우스(Bauhaus School)의 초대 교장, 발터 그로피우스(Walter Gropius, 1883~1969)의 지휘 아래 바이마르와 데사우(Dessau)에 건설된 건축물과 기념물군으로 구성되었다. 확장된 유산은 데사우에 있는 발코니 주택들(저소득 거주자를 위한 3층 벽돌 건물들), 그로피우스의 후계자인 하네스 마이어(Hannes Meyer, 1889~1954)의 지휘 아래 1930년까지 건축된 베르나우(Bernau)에 소재한 ADGB 노동조합 학교 등이 추가되었다. 이러한 확장은 20세기 건축 사고와 실천에 혁명적인 영향을 준 운동인 바우하우스 운동이 보여준 소박한 디자인, 기능주의, 사회 개혁적 성격에 대한 건축 분야의 기여를 반영한 것이다.